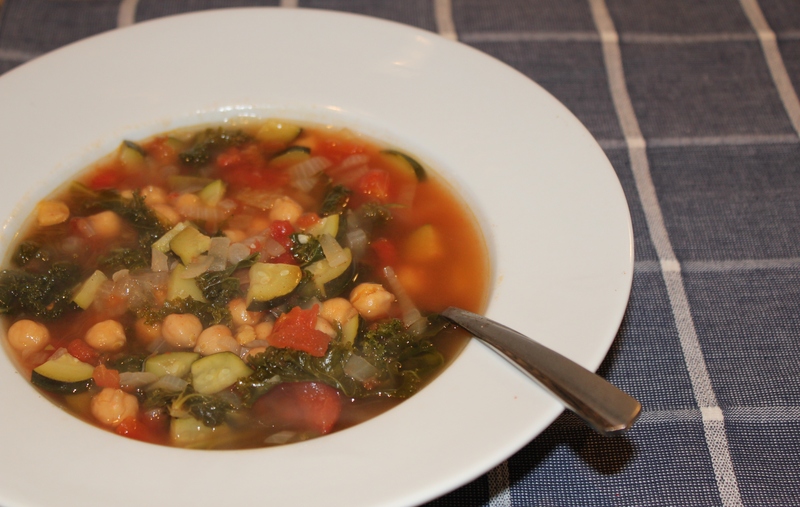 Healthy Soup Recipes: Kale Chickpea and Chicken "Noodle"
It’s definitely turned to “real summer” in the past few weeks in the South, so for many people, a bowl of hot soup is a minor form of torture. However, if you happen to be strange like me, and think that soup sounds fantastic during all seasons of the year, then today is your lucky day! 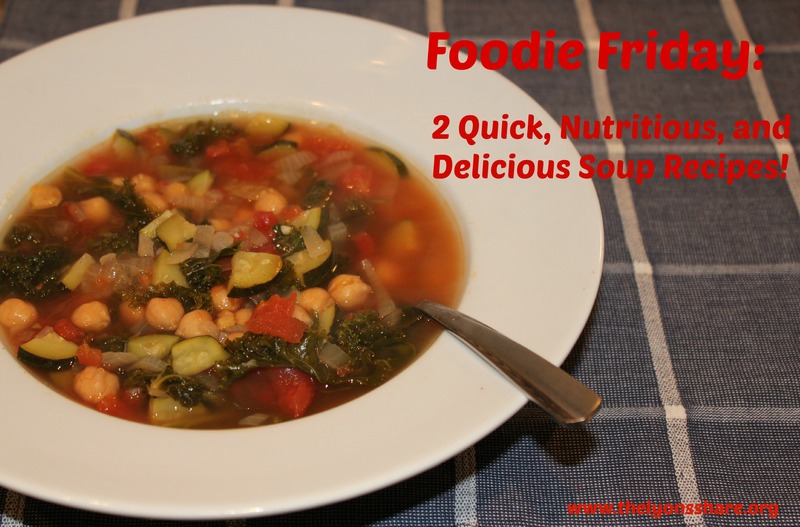 I want to share two super easy, super fast recipes for soup that are healthy, delicious, and easy to freeze-and-reheat for days when you’re tight on time. 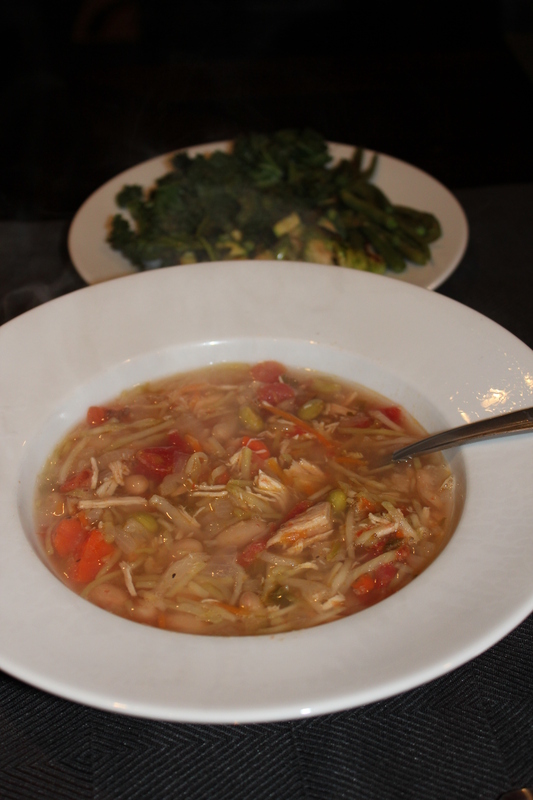 And I promise I’ll get to more seasonally appropriate recipes next week! Enjoy! 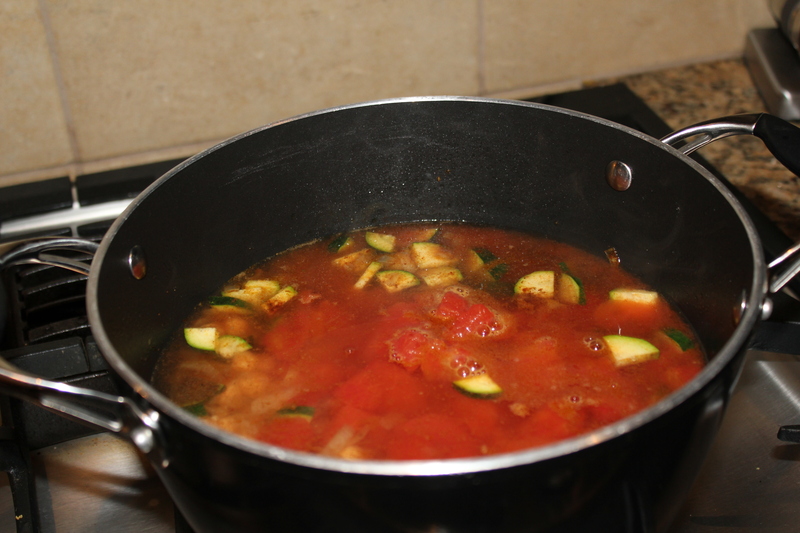 This recipe is a bit spicy, but feel free to eliminate or reduce the cayenne if you choose to. I created this last Thursday when I walked in from the airport and wanted something “homemade,” but didn’t want to spend much time and didn’t have many fresh ingredients. This is the perfect compromise, and is SO easy to pull off! Side note: when it says “rinse” your beans, you should really rinse them! 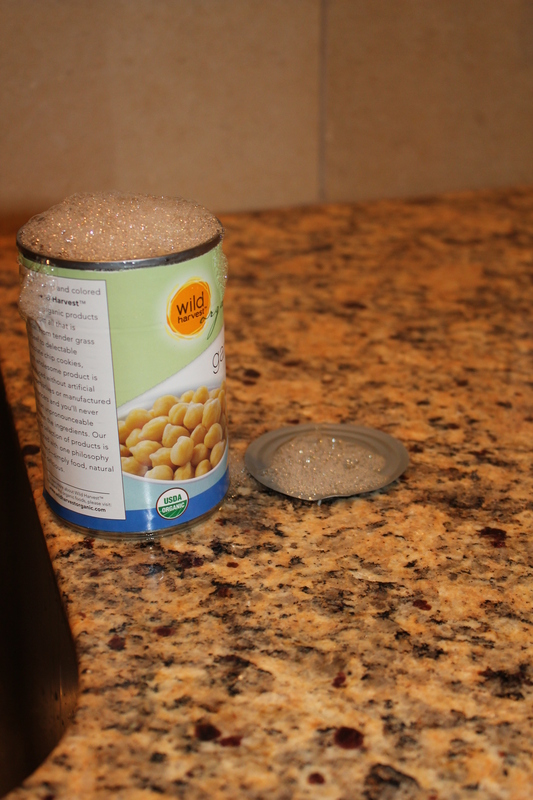 Do you ever notice soap-like bubbles when you rinse your can of beans? This shows you’re washing away the saponins, which are chemical derivatives of soap that can cause a lot of indigestion. The presence of saponins is what gave beans a bad reputation for upsetting people’s stomachs (but it may just be the saponins!). Heat olive oil in large soup pot. 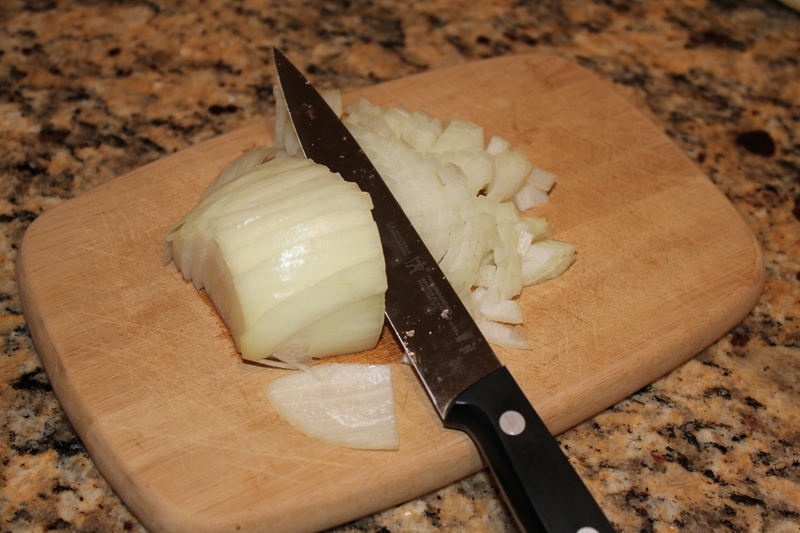 Add chopped onion and minced garlic, and saute 4-5 minutes or until soft. 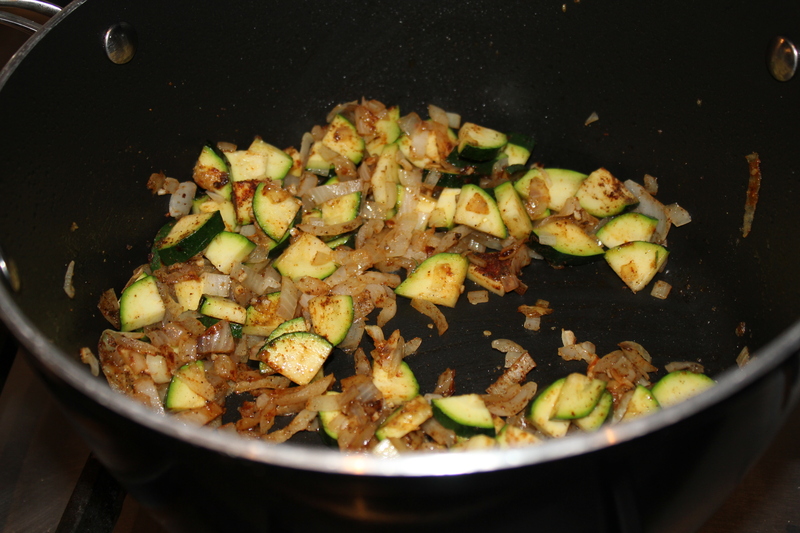 Add zucchini and spices, and saute until aromatic. 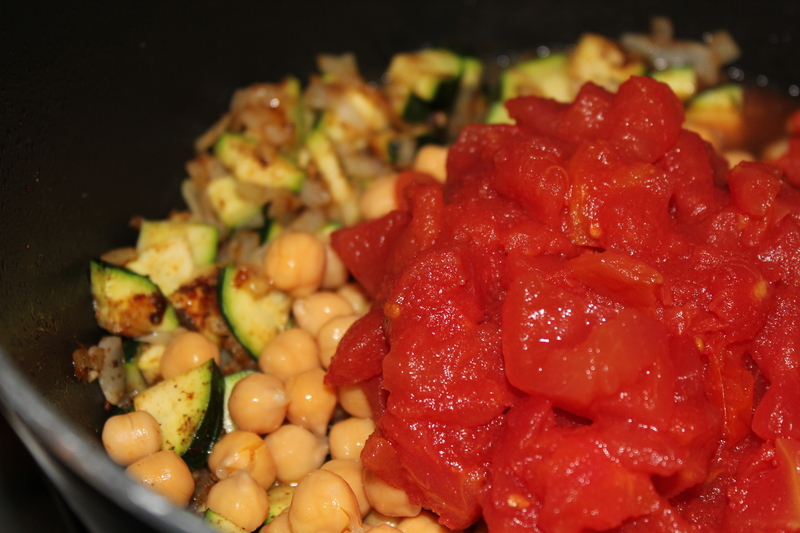 Add chickpeas, tomatoes, and water, and bring to a boil. 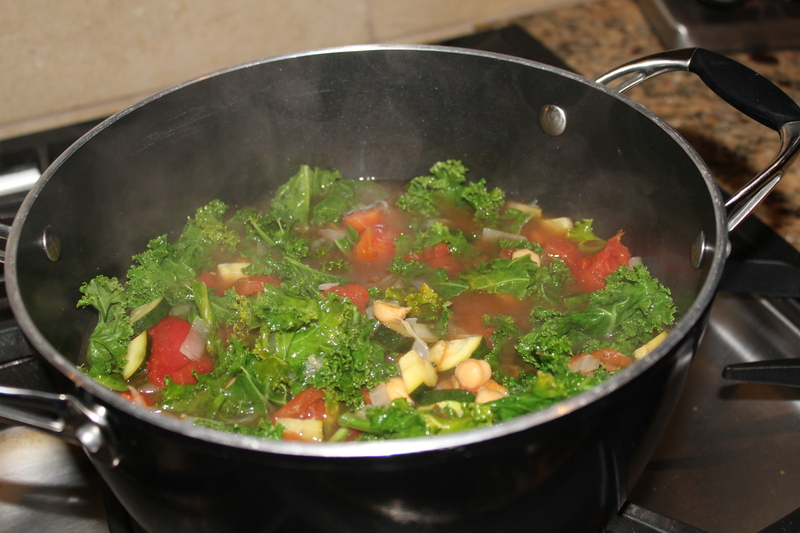 Reduce heat, add kale, stir, and cover. 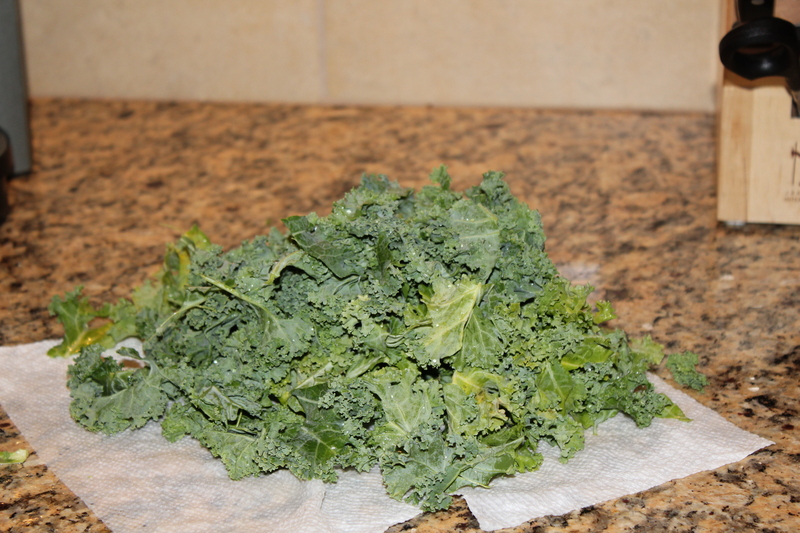 Heat on low while covered 10-15 more minutes to let flavors set and kale wilt. Remove bay leaf. Dish up into three bowls, and freeze or refrigerate extra portions for later use. Enjoy! I topped mine with some fresh feta cheese, and it was delicious! This recipe comes together in 15 minutes max of your own time, and cooks away all day in the crockpot. I love my crockpot for quick but delicious homemade meals, and especially love that it makes so many servings that I can always freeze or refrigerate some for later! Feel free to add any veggies you have lying around – I’m sure they would be delicious! Spray crockpot (slow cooker) with cooking spray. 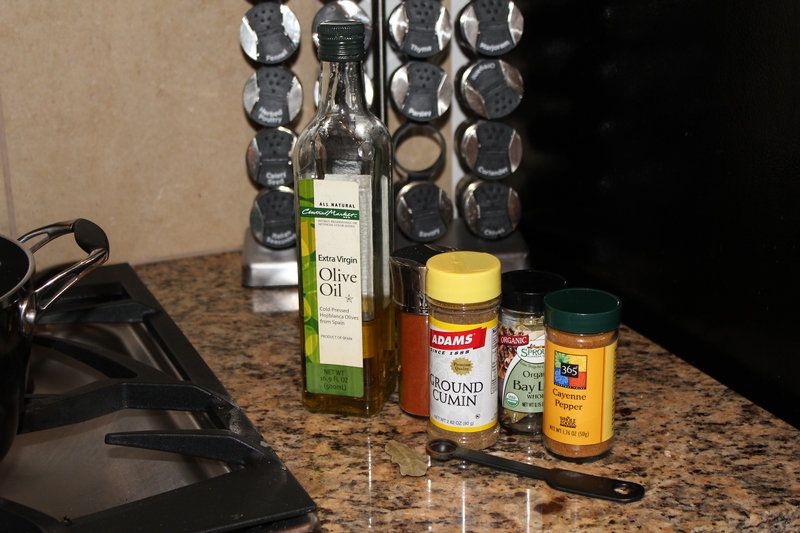 Place all ingredients besides chicken in crockpot and stir to mix. Add chicken breasts to top (they will sink a bit, which is fine). Cover crockpot and cook on low 7-8 hours (or high 3-4 hours), or until chicken is completely cooked through. Remove chicken breasts, and shred with two forks. It should be very tender and easy to shred – just use one fork to hold the chicken breast still, and the other fork to scrape away shreds. 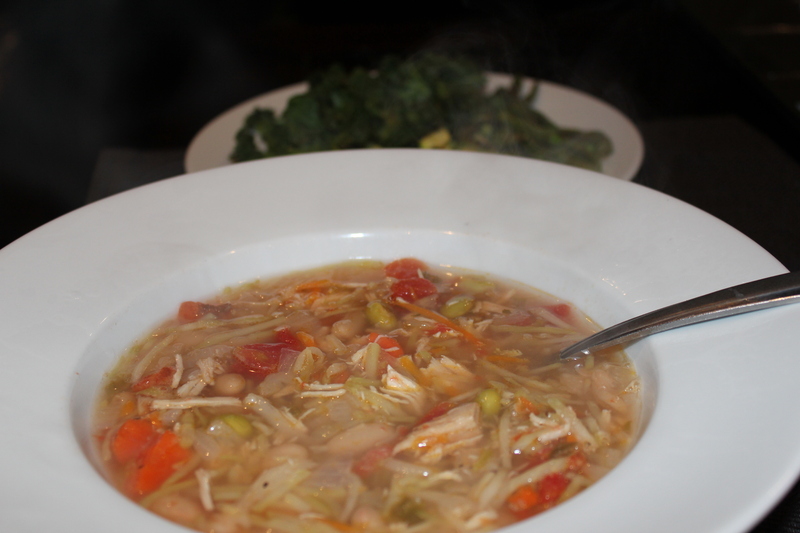 Place shredded chicken back in crockpot and stir thoroughly. Ladle into 5 bowls and enjoy! So tell me in the comments … is it too hot for you to think about soup? Maybe I’m crazy, but I love soup anytime! While Florida in June is a bit too oppressive to make me crave one of these great sounding soups, I am now buying my daily water in 55 gallon drums and eating granola with fruit at breakfast. My crash came when the FEDEX driver arrived at my door with a barrel of Harry & David’s Moose Munch. The real irony is that this Father’s Day gift came from my kids and their spouses, one of whom is Megan! 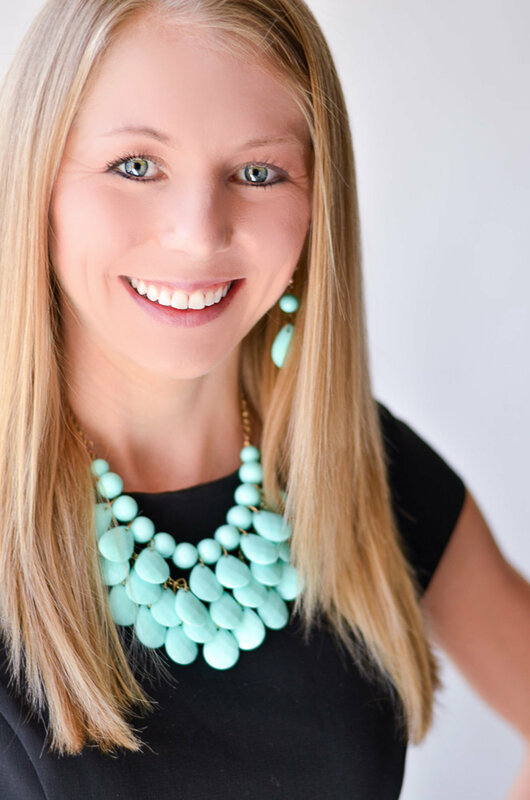 Yes, that very same Megan who writes this blog and washes down her fat free pretzels with a green slime (kale) smoothie. Maybe she will suggest a recipe that uses Moose Munch next week? Hahaha! It’s all about balance and what you do MOST of the time. So, if you’re drinking your water and eating healthily most of the time, you deserve some Moose Munch, especially for Father’s Day! The chances of a Moose Munch recipe are not too great, though :). Enjoy!